Luke Hand’s injury-time strike guaranteed St Gabriel’s a place in this year’s senior hurling championship final. 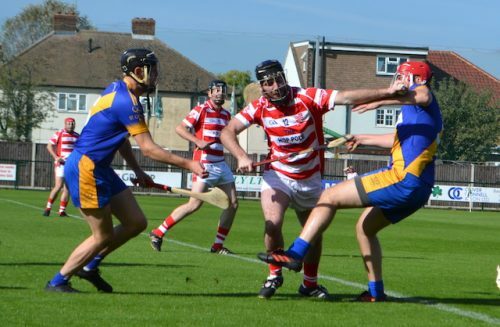 Gabriels needed to beat Sean Treacys by a margin of at least 16 points to guarantee themselves a place in the final, and make the outcome of the Robert Emmetts and Kilburn Gaels clash irrelevant to their fortunes. They did exactly that, but left it mightily late. 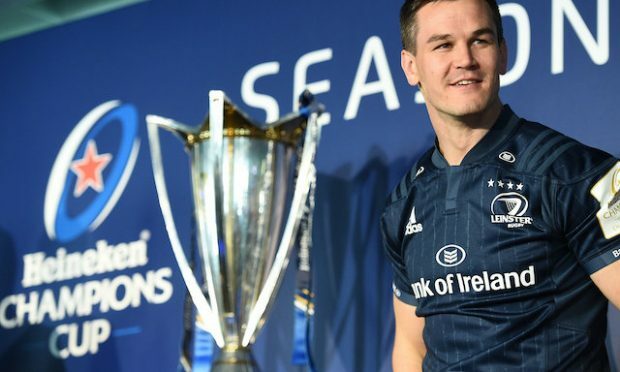 Hands came off the bench to score the vital point in the second minute of added time, after David Nolan’s initial effort had come back off the Treacys’ crossbar. The problem was that while Sean Treacys had ‘nothing to play for’, having lost their previous two ‘Round Robin’ fixtures, no one had bothered to tell the south Londoners that. They proceeded to make for an uncomfortable afternoon for Gabriels, not least when Dave Maher squeezed the ball into the Gabriels net in the 24th minute. The Gabriels lead was just six points going into half-time. It all made for a nervy second half and climax, as Gabriels edged painfully slowly towards that 16-point target, with the scores drying up for Treacys at the other end. 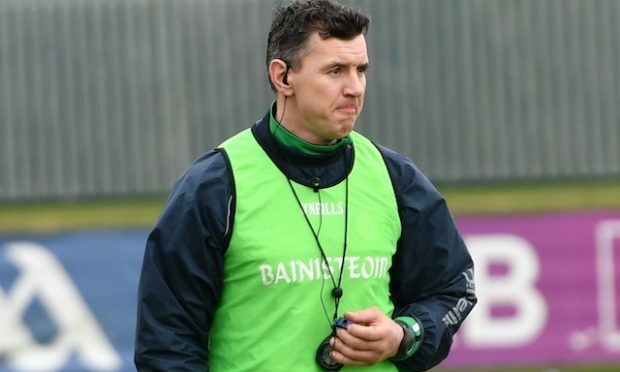 Quintin Lynch burst forward to move Gabriels to within one-point of their target with four minutes to go, but they had to wait until injury-time for Hands to deliver the crucial score which meant they could rest easy. Few would have imagined that Gabriels would leave it so late, given the start they made. Stephen Lohan fired over after just 18 seconds. They were 0-3 up in as many minutes, before a Kevin McLaughlin free got Treacys on the board. But that did little to halt Gabriels from going about their business and by the 22nd minute the Gabriels lead was nine points. But O’Loughlin’s free then caused havoc in the Gabriels square and Maher found the net from close range, amidst a crowd of bodies and swinging hurleys. Gavin O’Mahoney pointed straight from the puck-out and Gabriels now only led by 0-11 to 1-3. Gabriels were suddenly in a fight; Treacys weren’t hurling like a side with ‘nothing to play for’. Gabriels were in a real game. Nolan’s free meant Gabriels took a 0-15 to 1-6 lead into half-time, and Nolan opened the second half scoring from play. Conor Allis went for goal from a free, only to see it blocked on the goal-line by Conor Helebret. When Nolan added a 41st minute free the lead was back up to its biggest margin, nine points. And Nolan continued to edge Gabriels closer. 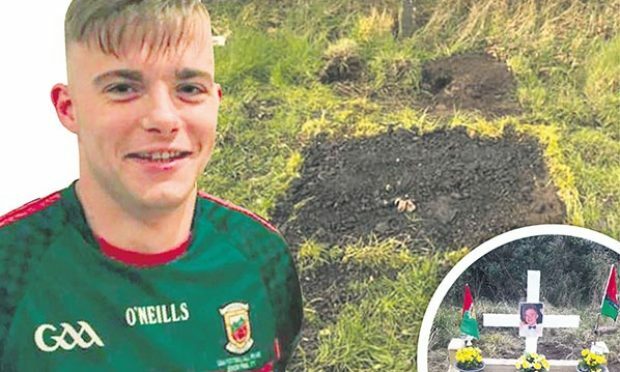 When Cormac Thornton and Brian Hickey pointed in quick succession in the 42nd minute, Gabriels were within five of their target and had all of the momentum. But the scores began to dry up. It was beginning to get tense, and had Treacys been able to find their forward line with the abundance of possession their backs were enjoying, they could have made for a far more uncomfortable final ten minutes for Gabriels. They couldn’t, though, and all the south Londoners’ could muster in the second half was two Allis frees. Much to Gabriels’ relief. Gerard Hennelly replaced the injured Thornton and produced an exquisite finish from a tight angle. But when Hennelly then pulled up, Hands was thrown into the fray. Hickey pointed with five minutes remaining and the margin was 14 points, but Nolan then missed with a free attempt he’d expect to knock over. Gabriels were starting to get edgy. But Lynch immediately showed the composure that some of his teammates were beginning to lack, and set the stage for Hands’ late intervention. It would all be overshadowed, though, by the events which followed in the Kilburn Gaels versus Robert Emmetts game. 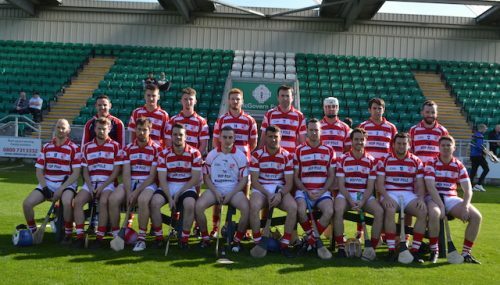 St Gabriels: James Barrett; Thomas Higgins, Conor Helebret, Ronan Royston; Lee Murphy, Graham Maher, Neil Rogers; Brian Hickey (0-4, 1f), Oisin Royston; David Nolan (0-12, 7f), Stephen Lohan (0-4), Cormac Thornton; Ronan O’Sullivan (0-1), Shane Lawless (0-3), Quintin Lynch (0-1). Subs: Gerard Hennelly (0-1) for Thornton, Luke Hands for Hennelly. 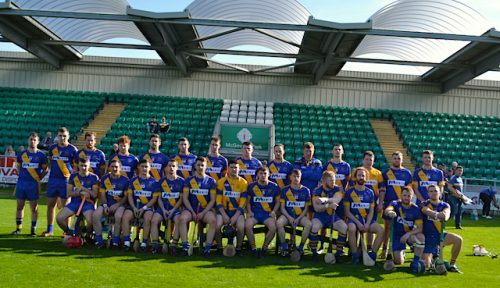 Sean Treacys: Stephen Power; Andy McWeeney, Mark Carter, Jack McCarron; Michael O’Connor, Kevin O’Loughlin, Podge McGrath; Ger Quiligan, Dave Barden; Adam Hynes, Dave Maher, Gavin O’Mahney; Sean Meaney, Conor Allis, John Birmingham.